Photo credit: Jim Clark USFWS / Flickr / CC 2.0 It's ironic in so many ways; we live in a time where the earth as we know it is literally crying out in pain. The pain which comes from a human race at war with nature, a place that once was such a part of people's lives is now something that stands in the way of profits, lifestyles beyond measure, and helps to define a world lacking in love and in need of therapy. For nature is perhaps our best reflection of love on earth. It is not that it cannot be cruel or unforgiving; it is that in its purest form, it perfectly reflects harmony, life, evolution and beauty. Nothing synthesizes wild nature more than the wolf. It is the perdurable life force which reveals that nature is alive! Today we confront not just ranchers, who since their first steps in the new world have killed, trapped and destroyed any sense of wildness they could find, but also the truly sick and phlegmatic response of so many who call themselves "conservationists". You see, at a time when wild nature is literally screaming for help, we have created a corporate world of conservation. In such a structure, which I have lived in but was never welcome, the smartest person in the room, is the one most willing to compromise. The one that name drops politicians, the one with advanced degrees, who has spent no more than four days in wild nature at a time, is the true master. The food chain of conservation works this way. Start with a small conservation group, get paid next to nothing, but continue to make friends with those working with larger groups-Defenders of Wildlife, NRDC, the Wilderness Society, and the Sierra Club, etc. Move to one of the towns where such people live-Durango, Bozeman, Denver, Seattle, Santa Fe and Washington; this ironically is where you will find many of the Foundations. In such an environment, moving up means being a good foot soldier, handle conference calls, organize meetings, stay on scripted quotes in the press, never show emotion and always be willing to compromise. That makes you professional. Before you know it, you are working either for a foundation or a major national conservation group and now you are living in a great town and are be paid well. I mention all of this to put into perspective what we are facing in trying to protect wolves. Major national conservation groups, those with operating budgets in the millions of dollars per year are killing efforts to protect wolves and the reason is simple: they are compromising away that simple thing called nature so that they can live well, continue to grow and keep earning a serious paycheck. It also requires that issues like the wolf continue to be a fundraising bonanza for said groups. It also means staying close with politicians, compromising, so that they remain relevant. While this is true to some extent, it also encourages the backroom deals that are killing wild nature. About seven years ago I spoke at length with a foundation located in the Northwest about bringing conservationists together to work on gaining a solid and unified plan for protecting wolves. The meeting occurred in Albuquerque. At the meeting several of us spoke at length about taking on the ranching community and fighting for all wolves. Many of us in the meeting were confronted by lots of scientific jargon, the idea of compromise and within two months I was removed from the very group I pushed to begin. Why? Because really saving wolves, fighting to end trapping and sport killing is perceived as radical, dangerous to the structured plan and because several key national groups-Defenders and others did not want anyone but them to lead the charge on wolves. So today, we are witnessing a slaughter in the north: with governors and Game and Fish departments in lock-step to kill. 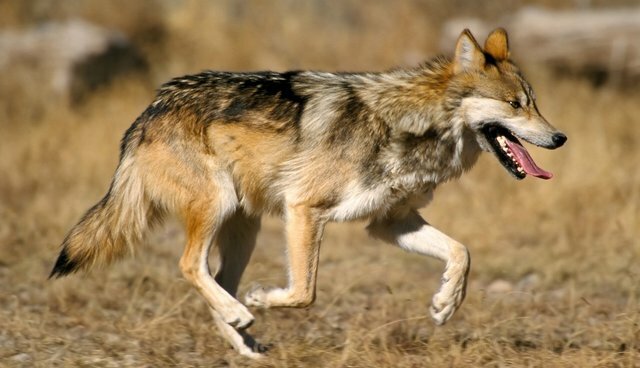 We have groups like Defenders on record supporting wolf killing for sport, while they continue to work directly with ranchers and waste time and money with an effort that is doomed to failure. All of this time, these so-called conservation groups are not only bringing in money from fundraising and bequests, but from major foundations that cannot see beyond the word compromise. So it becomes a self-perpetuating prophecy. The idea that we can make "incremental change" while helpful, is a losing proposition. US Fish and Wildlife Service is happy to move slowly towards incremental change, but always by opening the door to more killing and less restriction. Some argue that the myriad of approaches is simply the best solution for it allows for voices on many fronts; but such a diversity of voices is choked by a pointed solidarity amongst the livestock industry. The earth is crying, while wild nature is collapsing. Yet at the very time when the urgency could not be greater, we have people committed to a milk toast approach to protection. It's time that the conservation world is turned upside down! It begins with passion, conviction and a determination to create real change and stop compromising. I may despise republican Ted Cruz of Texas, but in a New Yorker article, he said it well about the realities of the Republican Party when he said people tell him , "You crazy republicans have to give up on what you believe and become more like democrats:" Cruz responded "And I would note, every time Republicans do that we lose." That says it all about the state of the conservation movement. So how do we move forward? It starts with a simple commitment that we agree upon. No wolf should be killed-period. Now some will say that will never fly, perhaps. But you do not begin the debate by compromising. That is not the seed for real passion on the issue. Wolves should be allowed to recover all lands they once occupied. Trapping must be banned-period. Sport hunting for predators must end. Ranchers must be forced, as part of their current leases to sign a no kill clause related to predators or face the loss of the lease. They should face a phasing in of a methane tax, which would go towards rangeland restoration. Buyouts of leases should be encouraged and supported with federal earmarks. We must make our intentions clear: Livestock grazing on public lands must be phased out in X amount of years. We have watched the coal industry follow the steel industry, auto manufacturers, follow tobacco farmers- the list is endless and there comes a time when the economy forces change in the work world. Ranchers for far too long have lived on the dole and created a disaster of the public lands in the West. They have not been responsible, but rather greedy. It will take several generations of work in restoration of lands, streams and riparian areas etc. The very people, who destroyed it, should be employed to heal it. Game and Fish Departments must be overhauled. It begins by a constant pressure on ethics and ways to create a wall between the livestock industry and the Departments. These departments are nothing less than killing machines that work for livestock and outfitters, to the demise of predators. They must be forced to base decisions on science, not lobbying. We must create a vision for people to gravitate to, not a science filled glossary. We have a symbol in the wolf that is hard to not strike a cord and a story of revival, family and health of the land that is simply a script any Hollywood producer would love. We must be tough and willing to speak out and demand so much more from the likes of Jon Tester or Butch Otter- in other words all elected officials. We are the majority, yet we cower and convince ourselves that compromise is the only solution. Our conscience tells us otherwise. Stop trying to organize rural communities and ranchers, get the voice and muscle of urban communities launched and loud. The opposition has made sure any support in these communities we garner, are made pariahs. It is essential that small conservation groups, ones that are fighting the battle in Montana, Wyoming, Oregon, Washington, Utah, Idaho, New Mexico, Nevada, Michigan, North Carolina and Wisconsin, the list goes on, form a coalition, or perhaps a CO-OP that allows us to push together for grants from foundations and to share our voice in unison. The voice of thirty organizations will soon drown out the tired voice of two or three major national groups blessed with so-called "reason". Foundations must also feel the heat. They are not accustomed to scrutiny, but they can be influenced by collective voices demanding not compromise, but rather Bold Action to save our wolves. This will require tough stands and vigilance, protests and far more than letter writing. We must educate the public, not pacify them. Some say you cannot fight the livestock industry without losing elected officials and others. I do not like the term Tea Party and find them a horrible chapter in our country. However, the conservation community of today needs a serious wake-up call and it's important that those of us that put wild nature first band together and stop using the term conservationist, for it perfectly reflects the image of compromise. Instead we must become the Nature First wing of the environmental movement! You can be strong, without being radical; you can earn respect without compromise. You can make change with conviction, but you cannot succeed without heart. So many of us want to see a West that is thriving, free of things like oil and fossil fuels, rivers without dams, land void of fence. Places where bears and bison, cities and rural communities can co-exist and share in the bounty of clean water and clear skies. We can begin to see that horizon, but it will require a tough fight, one that makes clear, public lands belong to all Americans, not a group of self-righteous individuals and many who hate all that is the commons we share. The fight over wolves represents more than wolves: it's about the fate of the land and the bounty that once was the promise of America. The reality is we have nothing to lose, for we have already lost so much. This is not about becoming violent; it is about stopping the violence. For far too long a wall of ignorance has blocked the common sense of healing the land and making diversity in nature a priority. We are nothing without our land; we are nothing without lands filled with wildlife. Wild nature is the tonic for a sick world and there should be no shame in fighting for its survival. We have the will; the map will be created by more ideas and thought. Our mission is clear: we cannot continue to try a piecemeal approach or lose our soul. We must be strong and understand the importance of our collective wisdom. Wolves need us, the earth needs us. We cannot yield to madness, but can we create a path to righteousness. Live long and prosper mother earth and your child the wolf!